I used to be a five-day-all-day man but I left live Test cricket behind many years ago. 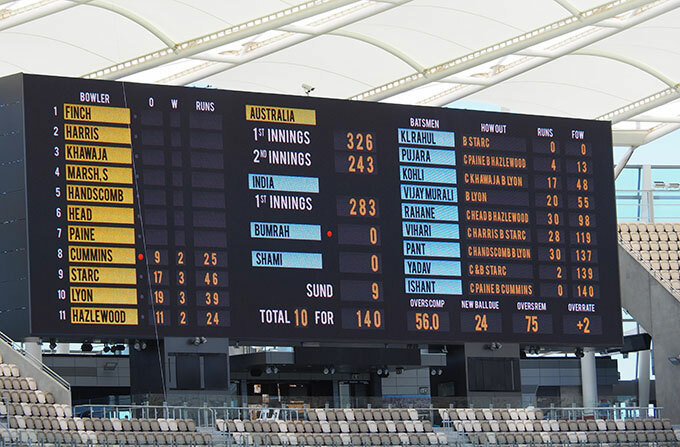 The lure of shade, the digital representation of the WACA scoreboard and a more appealing Australian team led me back this week – a couple of hours on day three and 65 minutes or whatever it was on the final day. With the crowds as they were you could sit where you liked really – away from the drums and sun. On day five I even managed to be in an exclusive area and watched perched up over the bowler’s arm. Viewing was good from the cheap seats too. Crowds of 20-odd thousand are fine for Tests – spectators need room to move during a whole day at the cricket. Much as I have loved the WACA in the past I think Tests should stay at Perth Stadium. The views of commentators, executives and experts should not be taken into account when it comes to discussion of the spectator experience. The WACA doesn’t have the shade or facilities to cope with even an 8,000 all-day crowd. It was a good Test match. I saw much of Virat Kohli’s innings on TV and was intrigued by something – it’s a drive he plays to the off side where he gets down so low that he hits the ball with a cross bat. I don’t think I seen it before except when it’s just some slogger. The Indian captain’s batting is elegant, determined, brutal and brilliant. Some find his “combative” behaviour adds spice to the game. I think it’s a bit embarrassing, the kind of stuff that turned me off the Aussies for so long. Generally, however, the player behaviour was refreshing. When words were exchanged there were often smiles… I might even grow to support Australia again. The Indians are a weird mob. Time after time in Australia they sabotage their own efforts. Yadav was never going to be the answer and his presence just added to the length of the tail. They have some thinking to do as the Boxing Day Test approaches. The openers are shot, they need a spinner, Pant could be star with the bat and Vihari looks ok too. India needs to win this series – a cooler captain and a harder tail will help. The shake up in Australian cricket has uncovered a real captain and, in Marcus Harris, an opener of great promise. The attack has been just about faultless and an unexpected morale boosting series win isn’t beyond them either. 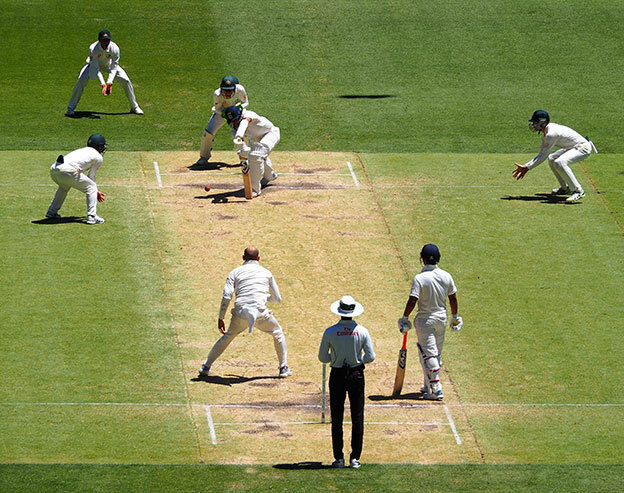 Let’s hope for a decent pitch at the MCG – if not it could be time to consider two Tests at Perth Stadium. Lyon to Yadav. Day five. Photo by Les Everett. At last we agree on something. 100%. Without exception – well said Les. 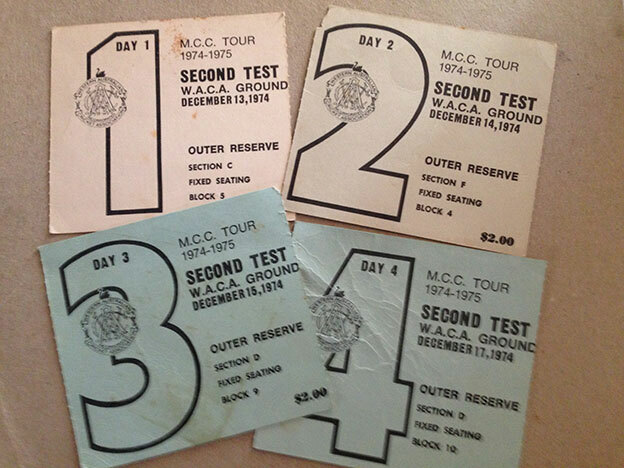 Last time I went to a full day of Test Cricket was the first day of the NZ test at the WACA about 5 years ago. Scorching hot. Flat wicket and what a dump in terms of spectator facilities. Embarrassing. I reckon Perth would be ideal for a day-night test from a venue and spectator viewpoint. But a final session under lights here would be 7-9, which is 10-midnight on the east coast. I can’t see the TV networks allowing it, unless they see the after work audience over east being helpful to their ratings. Sounds like an experience worth having, Les. I find the whole discussion about moving Test cricket back to the WACA bizarre. Like any sane organisation would sink a cent more money into an obsolete venue for 4-5 days of cricket attendance per year. Modern stadia are bankrolled on footy, with cricket the lucky beneficiary. Also found much of the crowd commentary about how many were Indian and how many Australian a tad racist. Many were both, no doubt. Looking forward to see what sort of experience the Scorchers will provide at the new stadium. I have just discovered youtube. They have the highlights of the 74/75 series and who knows what other delights. I have not succumbed to a search of what is available. “The views of commentators, executives and experts should not be taken into account when it comes to discussion of the spectator experience”. Never were truer words written. Some of these people have never even sat in the outer. Agree about 20k crowds and spectators needing room to move during a full day of Test cricket. As a Victorian, very nervous to see the quality of the pitch at the ‘G tomorrow.